The presidential elections are always intense affairs, with candidates from the Democratic and Republican parties making grand promises to the American people in an effort to gain votes. The presidential primaries already have begun, with four states — Iowa, New Hampshire, Nevada and South Carolina — already completing part or all of their primary process, either via caucus or primary election. No matter what political party you support, you’re probably aware of the platforms and promises of all the presidential candidates, from immigration reform to healthcare to human rights. You might think your preferred candidate is better than all the others because their beliefs align with yours the most and their vision for America also is your vision for America. But the president of the United States is not the absolute monarch of the United States. Any promises they make, any goals they have, and any ideals they intend to push onto the American people are subject to the checks and balances of the legislative and judicial branches of government. 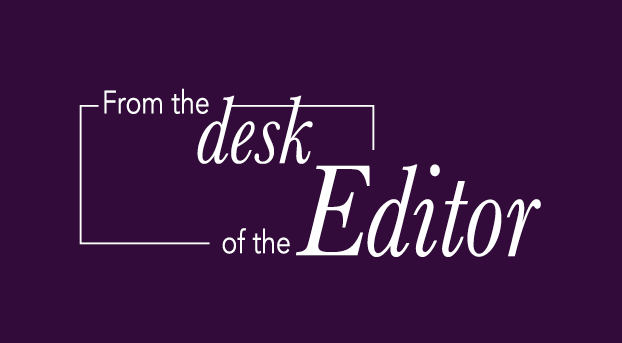 We, the Index Editorial Board, understand the presidential elections are your current political focus, and we understand why. But we also ask you to remember the importance of down-ballot elections. Down-ballot elections essentially are elections that occur on the same ballot as the presidential election but are for a lower political office such as state or federal Congress. No matter what promises a president makes, those promises will have to go through Congress in the form of legislation. If Congress is composed of people who aren’t very fond of the president, very little will get accomplished. This essentially was the same problem the current administration faced when trying to rebuild the economy, push healthcare reform and create gun-control legislation, among other policies. Whether you agree with President Barack Obama’s policies or not, you cannot deny the Republican-controlled Congress did not make it very easy for the president to push the legislation he wanted. We understand it’s easy to get caught up in the hype of the presidential elections, but we encourage all of you to research who the congressional candidates are this year in the House of Representatives and the Senate. Visit websites such as isidewith.com, uselections.com, govtrack.us, votesmart.org and fec.gov — the Federal Election Commission’s website. Don’t hesitate to research who the candidates for your district are and what they stand for. The FEC has a spreadsheet available to show exactly who is running for what office and whether they are an incumbent or challenger candidate. Uselections.com has a list of what state and federal offices are going to be on the ballot, and it also has links to the candidates’ websites and Twitter accounts. Once you know what district you livein — go to govtrack.us and input your zip code to find out — you can focus your research. Govtrack.us focuses mainly on current members of Congress, with lists of the bills your senator or representative has sponsored, their voting history and the committees they are a part of. While many of these websites focus on presidential and federal congressional candidates, it’s also important to focus on state offices as well. This year, not only will Missourians have the chance to help choose the next president, they will be voting for a governor, lieutenant governor, secretary of state, state treasurer and attorney general. The only statewide electoral office not on the ballot during 2016 is the state auditor, according to uselections.com. Politics aren’t pleasant, but they affect all citizens. By not participating in the political process, you are giving up your voice. Instead of electing a president or governor and complaining when they fail to keep their campaign promises, take the time to look at the other branches of government and see how the checks and balances work, then elect the people you think will best support the presidential candidate you want. In short we encourage you to research the 2016 elections and become the informed voters we know you can be. This staff editorial came from the Feb. 25 issue of the Index.